is not just a regular shampoo, but a conditioning shampoo. In its concentrated formula and free of the abrasiveness of salt of regular shampoo, it gently cleanses the hair without removing nutrients. Packed with organic and other natural extracts, oils and essential amino and fatty acids and vitamins it conditions and moisturizes the hair as well. The presence of hydrolyzed keratin – the protein the hair is made of – mends and repairs damaged fibers. And Argan oil revitalizes and prevents future damages. 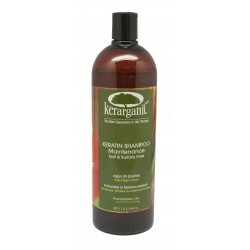 An added feature of KERARGANIC SALT & SULFATE FREE KERATIN SHAMPOO is UV protection, obtained through a specially designed combination of specific ingredients. Apply to wet hair. Massage well onto scalp and hair into a lather. Then rinse. 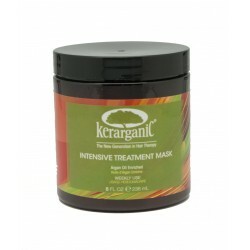 Follow with our KERATIN CONDITIONER POST-TREATMENT or INTENSIVE TREATMENT MASK (Recommended once a week).